Project Isizwe launched in November 2013 with an ambitious plan to provide government paid-for free WiFi for South Africa. Currently available in Tshwane and Western Cape, the big idea is to keep on expanding. CEO, Alan Knott-Craig, previously founded or funded 17 local South African companies including Mxit, Africa’s biggest social network and World of Avatar, an investment house for African mobile apps. We catch up with him to discover more. You have been a serial entrepreneur in South Africa over the last decade, how did you get involved in this not-for-profit initiative? By accident. After being ejected from World of Avatar and Mxit, I spent six months regrouping. Whilst casting about for a commercial opportunity several people approached me to pick up from where I left off with the Stellenbosch Free WiFi [project]. Due to a lack of options (and boredom) I decided to set up Project Isizwe as a side venture. The next thing I knew we won a contract with Tshwane, and 17 months later we have capacity for over 1 million people on Free WiFi networks in the Western Cape and Gauteng. I’d like to emphasise that whilst Isizwe is not-for-profit, it’s also not-for-loss. We’re not a charity. We simply refuse to add a mark-up to deploying telecoms infrastructure, resulting in the most affordable internet access possible. The South African government is notoriously difficult to move, especially on technology projects, how did you manage to get buy-in for this? It wasn’t easy. I knocked on many doors without success. Eventually I was introduced to the Mayor of Tshwane, Kgosientso Ramokgopa. He immediately bought into the vision, and thanks to his very efficient and competent executive team we managed to get a contract for a very small project in Tshwane. It helps that we’re non-profit, and it helps that we are clearly the lowest-cost solution on the market, and it helps that we take 100% financial risk (the municipality only pays on success). But the most important ingredient to our progress has been a relationship of trust between our team and the City of Tshwane. 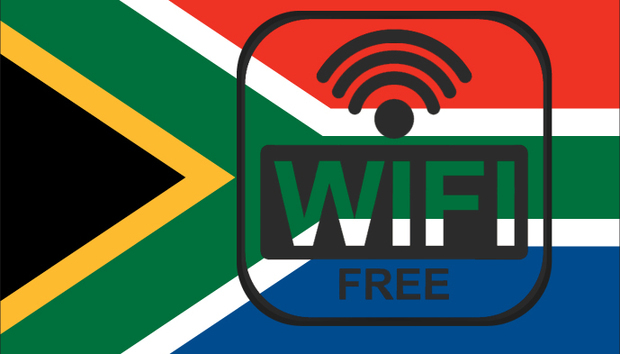 How far are you on the South African free WIFI journey? 17 months in the future looks bright. Hopefully other administrations sign-up in the near future. It’s not a question of “if” Internet access will one day be a basic service like water and electricity, it’s a question of “when”. We feel privileged to be playing a part in accelerating the future. In one interview you mentioned how you would like to see a National WIFI grid, is this likely, how would you envisage it working in practice? If the national government gets on board, anything is possible. Why shouldn’t you have WiFi wherever you have electricity? In practical terms all that it requires is sites, power and funding. The sites are there. The electricity is there. It’s just a question of whether the government believes that internet access spurs sufficient economic growth to justify the cost of deploying a national Free WiFi network. Would you like to run similar initiatives in other sub-Saharan African countries? Why not? We have the same environmental, power and security challenges as most countries in sub-Saharan Africa. If we have a model that works in rural Limpopo, then it can scale to rural Zimbabwe. Our focus is South Africa, but we’ve already been invited to present to leaders in Uganda and Botswana. Who knows where it all goes. Will the shortage of electricity hinder the progress of this in some rural areas? South Africa generally has electricity everywhere. [Although] in the absence of an electricity grid we would have to use solar panels, which increases the risk of theft. But it’s not a big deal, as they say in South Africa, “n boer maak n plan" [roughly translated to “there is always a plan B”]. As part of the implementation of phase two, this project included tablets pre-loaded with study guides - is facilitating a better education in South Africa a big part of this? Actually, no. We don’t do devices at all. There were some devices handed out for the phase two launch but that was a once-off for the children at the specific school. Tablets in schools are the future. Textbooks can be delivered wirelessly. Kids can study online. Our game is not devices. We focus on connectivity. You can’t do anything unless you can get on the internet. Why do you think so many rural tech initiatives have failed in South Africa in the past? Bad timing is probably the biggest factor. The past five years has seen the landscape change dramatically. Massive fibre deployments, smart phone penetration and falling WiFi network capital costs means that the cost of deploying a data network that everyone can access is within reach of the government. One video I watched suggested that education and job searching were the two main things this free WiFi was used for, is this still the case? Yes. Education, jobs and entertainment. I think online eHealthcare is a big segment for the future. What other tech initiatives for the greater good of South Africa do you think are important? I think SnapScan is amazing. This small tech company in South Africa has finally converted your smartphone into a credit card. The more success stories we have coming out of our continent, the more confidence we will have that we can take on the world. Is there anything else you'd like to share about Project Isizwe? Sometimes life has different plans for you than what you expected. When you get the message to go down an unexpected path, listen. Isizwe has been an unexpected path, and it has changed my life for the better.